BERLIN -- Volkswagen Group has identified cost cuts worth about half of the planned 5 billion euro ($5.29 billion) target at its core passenger-car brand, CEO Martin Winterkorn said today. Part of the savings could come from a possible decision to cease building three-door Polos in response to falling market demand for subcompact hatchbacks with that configuration. VW is "intensively checking" whether it will only build a five-door Polo in the future, Winterkorn said here today at VW's annual press conference. He said the effects of discontinuing models such as the three-door Polo and others that no longer have strong customer demand are "significant." "They amount to triple-digit millions through lower ramp up costs and cutting down the number of components," Winterkorn said. Ending the three-door Polo would match what VW rival Renault has already done. The French automaker decided to discontinue the three-door version of the Clio and only offer the subcompact with five doors when the new generation arrived in 2012. Ceasing unprofitable models -- VW brand also will stop making the Eos convertible this year -- and reducing expensive vehicle equipment may improve results at the troubled brand by "well over 1 billion" euros this year, Winterkorn said. It's the first time VW has given numerical evidence of how its cost-cutting program, announced last July, is progressing. The automaker says the savings program, which should be completed by 2017, should ensure that the VW brand achieves its target of an operating profit margin of at least 6 percent. Last year the brand only managed a 2.5 percent margin, down from 2.9 percent in 2013. Eight months ago VW's top management issued the cost-cutting plans as a wake-up call to managers. The brands, however, remain overly concerned with their own interests rather than finding savings, works council chief Bernd Osterloh said in January. Osterloh, who sits on VW's supervisory board, said VW should be able to lower costs at the namesake brand by "substantially more" than 5 billion euros. Operating profit at VW brand fell 14 percent to 2.48 billion euros in 2014, even as sales edged up 0.4 percent to 99.8 billion euros, the automaker said today. "We want to get better in every respect in 2015 and take the next step toward the top," Winterkorn said in a speech prepared for the press conference here. The goal is for the VW nameplate reduce VW Group's reliance on its Audi and Porsche luxury divisions for profit. After years of pushing for growth in its bid to surpass Toyota Motor Corp., VW Group has shifted focus to profitability, even as it boosts investment to upgrade factories and develop technology for electric cars and self-driving vehicles. Those efficiency efforts have yet to pay off as VW faces slowing growth in China and plunging demand in Russia and Brazil. Also, earnings power at Audi is slipping. As the world's second-largest maker of premium cars increases spending on additional manufacturing capacity and new models to catch BMW Group’s core brand, its profit margin narrowed to 9.6 percent last year from 10.1 percent. The return on sales this year will be in a range of 8 percent to 10 percent, Audi said Tuesday. Porsche's profit margin, meanwhile, narrowed to 15.8 percent last year from 18 percent after the sports car maker rolled out the Macan compact SUV. Winterkorn emphasized, however, that the VW brand's underlying profitability is much higher than its results suggest, since the brand's share of profits from the two Chinese joint ventures were not included. As a group, VW earned the equivalent of 5.2 billion euros in China last year, which is in addition to the 12.7 billion earned by the group excluding China. "That would give us a theoretical operating profit, including the joint ventures, of almost 18 billion euros. That puts us among the best in our industry," Winterkorn said. 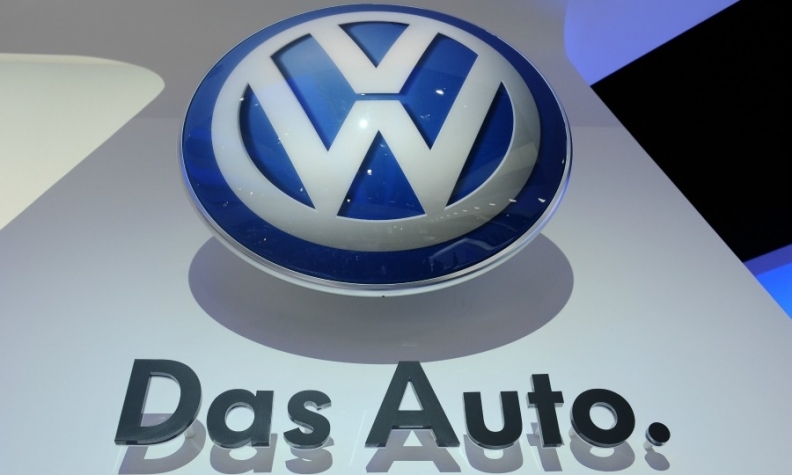 The company's China operations are not reflected in the VW Group's operating income because accounting rules stipulate that VW books earnings from non-consolidated JVs lower down on the profit and loss statement in its financial result. VW Group's deliveries in the world's largest car market rose 12 percent to 3.68 million vehicles. Volkswagen aims to increase volumes, sales revenue and operating profit in 2015, and forecasts specifically for its core passenger car business an operating margin of 6 percent to 7 percent. The group, which sold a record 10.1 million vehicles last year, expects to "moderately" increase global deliveries in 2015, backed by 50 new or revamped models including the VW Touran compact minivan, Skoda Superb sedan and Audi Q7 SUV.